← What You Need to Know About Fluoride? Typically, we would often hear how cigarettes can cause lung cancer or throat cancer. But what we do not know is that gum disease is primarily caused by smoking. Periodontal disease is a chronic gum disease that is developed over time due to smoking. Eating sweets and poor oral hygiene are not the main reason why we have toothaches and gum problems. Smoking is a big contributing factor to oral diseases. 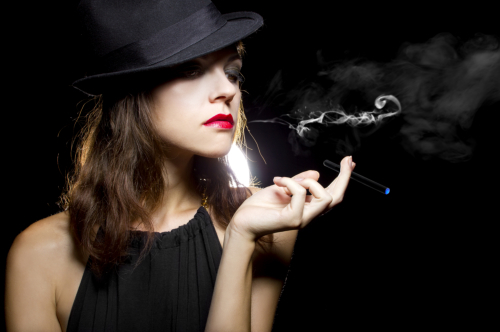 Today, on the blog, we will discuss some of the alarming effects of smoking to your teeth. Often times, patients who are chain smokers that visit our clinic at Orchid Family Dental, the leading provider of dental services in Richardson, Texas, complain about inflammation on their gums, bad breath, and yellowish colors of their teeth. Little do they know that their habitual smoking is the reason for tooth problems. Initially, we can develop gum disease because of poor oral hygiene. But it can worsen rapidly if we habitually smoke. Smoking tobacco, cigarette, or even pipe can soften the tissues and bone that holds your teeth and your jaw. Because they do not have a stronghold anymore on the gums, bacteria can easily evade your teeth. The bone that connects your jaw and teeth will have lesser density, causing gums to swell and bleed constantly. This is no laughing matter. Gum disease will produce a myriad of effect to our teeth, tongue, and it could even affect our food intake. Once you had your tooth extracted or you had an implant, smoking delays your recovery. It would be difficult for your tooth to heal right away because a cigarette adds chemical toxins in the mouth that could impede the recovery period of the tooth extract. Moreover, it can also lead to implant failure, which means putting your money to waste. The composition of the tobacco and cigarettes are found to be toxic to the capillaries that block blood flow in our gums, making it longer for the implants to heal. This time, the effect of tobacco is not just limited to tooth decay and gum disease. It could affect our whole mouth. It can develop over time if we constantly use cigarettes. It can cause cancer in our cheek, tongue, and the inner surface of our lips. Indeed, when we experience chronic pain in our teeth and mouth, it would affect our daily life. A toothache can stop us from thinking and focusing on our job. We do not want this to happen, so we should take good care of our teeth. For quality dental check-ups and improved oral hygiene, let our team take care of your teeth. Visit us at Orchid Family Dental or check our website for our complete services www.orchidfamilydental.com. This entry was posted in dental, dental care, gum care, oral health and tagged dental care, dental health, gum health, oral health. Bookmark the permalink.